Curly in the City: so fresh and so clean clean! so fresh and so clean clean! Ohh my nails are now so fresh and so clean clean.....(Come'on music throw back to some Outkast circa my high school days!) So pretty after a pit spot at the nail salon with Mom on our way to dinner last night! I swear in the summer there are no amounts of manicures and pedicures which would be too many! My feet get trashed in the endless sandal wearing heat! I choose a bright color to continue the summer vibe - yesterday was a bit cloudy and even dare I say cool. So I choose summer in the form of nail polish! Do you have a favorite bright polish as a go to pick-me-up??? I am thinking this might need to come home with me....been staring at it all morning & loving how bright and cheery it is! 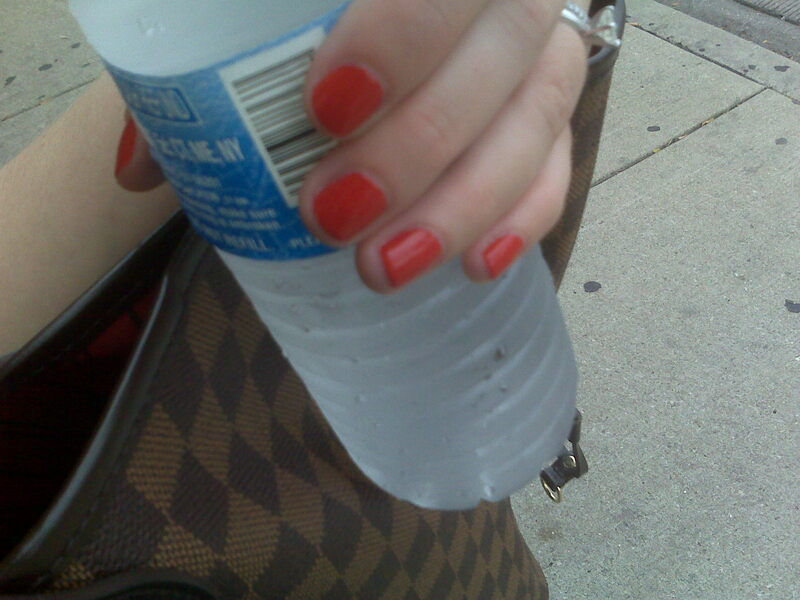 My go to summer color is Cajun Shrimp (OPI), it's a creamy coral and I love it! i love Strawberry Marghartia by OPI and My Chihuahua Bites by OPI! they are bright and fun for the toes!!!!! not ALL of us got our nails done !!!!!! some of us had "too short" of nails......uhhhhhhhhhh yeah, ok !!!!!! louis vuitton uk have additionally synonymous with reputation together with riches. Coach Outlet Online own a couple of line, color, or the selected theme, it should be a good choice. Today, following half a century, mentor leather-bases Coach Factory Outlet continues to be the delicate craft of leather-based master is accountable for, If you go shopping on the Coach Factory Online, you will be granted not only good products, great services and prompt replies, but also an overall pleasant experience. Coach Factory Outlet offer excellent, elegant coach products in order to generate room for your new collections.